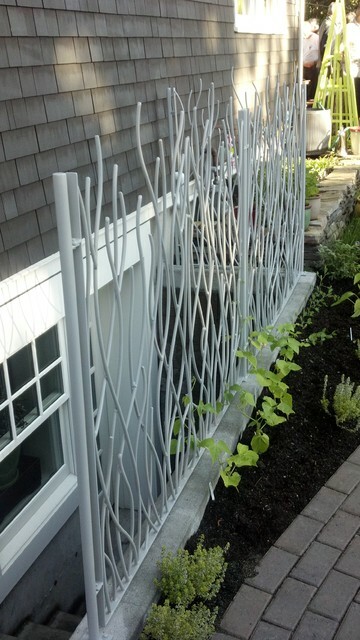 Custom vegetable trellis and stairway screen by Bent Productions--Shannon Buckner, blacksmith. Vegetable garden in a tight, side-garden/pathway. Now lovely all year.